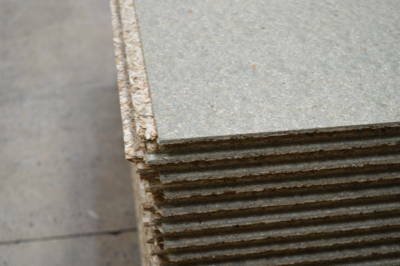 Flooring Grade Chipboard is suitable for load-bearing applications in conditions where moisture can fluctuate due to humidity. Hanson Plywood’s P5 Chipboard is primarily tongued and grooved for the purpose of increasing the structural integrity of the boards when joined. Caberdek has an additional peel-away film to protect the boards during site work. We also supply fixing kits including glue and tape. Hanson Plywood sources its collection of P5 Flooring Grade Chipboard Panels from FSC® & PEFC™ Certified forest concessions. The company’s robust Chain of Custody management system ensures that these certifications are respected and adhered to throughout the supply chain. For further information, please refer to our Environment Page.